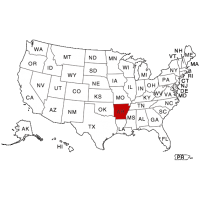 Arkansas is one of the least populate states, but has one of the highest rate of arrest records, recorded at 50 per 1,000 people. Because this is higher than the national average, it is very important that a comprehensive criminal background check is performed on anyone from this state. There have been over half a million arrests in Arkansas in the past five years, and many of these arrests result in criminal convictions once they go to court. Intelifi can uncover the complete details of these convictions. Not only are a vast majority of records reported to the national database, but we also offer a statewide search that goes directly through the Arkansas State Police to ensure that you obtain everything, including recent convictions. Intelifi can help you find Felony convictions such as assault with a deadly weapon, grand theft, and identity theft, as well as less severe Misdemeanors like shoplifting, DWI’s, and the like. To begin ordering criminal background checks in the state of Arkansas, contact Intelifi to get in touch with an account representative.